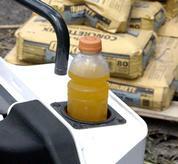 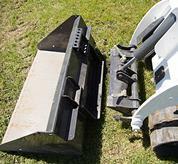 TWO TYPES OF ATTACHMENT MOUNTING SYSTEMS. 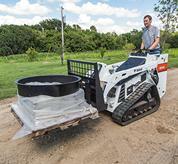 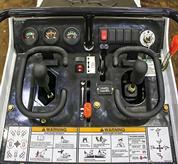 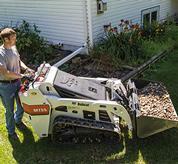 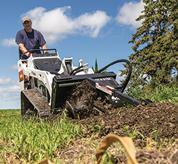 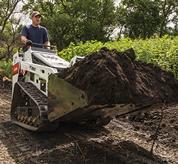 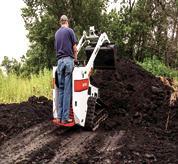 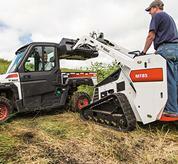 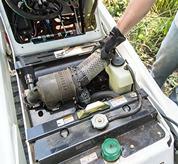 Using the ergonomically-designed ISO joystick controls, it's easy to maneuver the MT85. 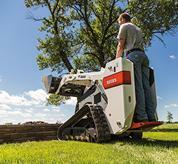 The dedicated ride-on platform keeps you above the surface conditions at all times.